Nationwide Insurance CEO W.G. 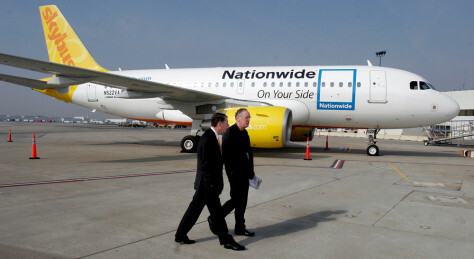 Jurgensen, left and Skybus CEO Bill Diffenderffer walk by a Skybus plane in this file photo. The airline is set to begin service Tuesday.